Share the post "Papery Peep – October"
October’s Papery Peep already?! Where is the time going? Before, I share some pretties, a quick reminder. 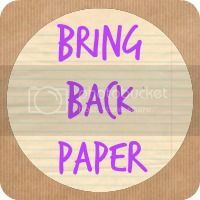 Tonight is the #BringBackPaper Twitter party, starting at 8pm, so be there! We do also have the book swap running until the end of November, and the November Instagram challenge begins this weekend, #30DaysOfPaper. Find out more here. And now, back to stationery…. Today I’m going to share with you my 5 year old’s papery goodies. Yes, my daughter is set to follow in my footsteps, and has started to build up her own pretty stationery (she makes me so proud!). Boo’s always been great with paper as she’s loved colouring, painting and art from an early age, and now we’re moving it to the next level. She’s been at school for half a term now and is enjoying learning how to read and write, so she wants to write letters, lists, cards, notes – you name it! She has a cute little notepaper set and a butterfly jotter pad that she chose and was adamant she wanted on a recent shopping trip. She’s yet to use it, but then she won’t be the first person in this house to ‘need’ stationery that then isn’t used for a while! I reviewed one of these gorgeous Magical World Journals a while back, and Boo loves her unicorn journal. I so love that fluffy hedgehog pen, and of course the writing set is gorgeous! She chose the microphone pen herself on her birthday money shopping trip, where amongst other things, she also chose herself some lovely new books. What do you think? Or rather, if you were me, which item would you be trying to sneak and use yourself?! So now it’s your turn to share! Come link up any paper-loving blog posts and check out what others have been enjoying this month, too. A new book, relaxing with a pile of magazines, some stationery pretties or share your snail mailing collection with us – anything paper goes! Linky closes at midnight Tuesday 4th November. Mmm I adore the sweet treats stationery. Yum! These are GORGEOUS! Love them all. Boo is so lucky. When I was about 7 or 8 I had a penpal from France and we wrote letters back and forth. I think I wrote in English and she did too (as I hadn’t had French lessons at that point). It was fantastic to learn about a different place and see her different handwriting. She is a lucky girl! I used to love having pen pals when I was little, too, and yes, totally fascinating to learn about their lives in different countries. Hannah recently posted…Create your own Cards and Gift Tags! Ah, that’s lovely! Boo’s written a note to someone every morning over breakfast this week – she loves it! Following in her Mom’s footsteps hey?! I love that hedgehog pen too! Just finally catching up with old posts 🙂 my bloglovin feed got away from me there!